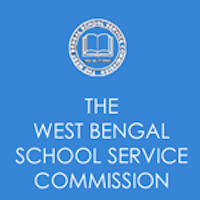 Online Application Details for West Bengal Central School Service Commission WBCSSC Recruitment of 14088 Assistant Teachers is given below. Candidate's minimum education qualification for the Vacancies in West Bengal Central School Service Commission WBCSSC should be Graduate Degree with 2 year Diploma in Elementary Education / B.Ed., 12th with B.El.Ed. / BA / B.Sc. Ed. / B.A.Ed.